A web portal or internet portal is a website that is a single point of access to information on the internet. A portal will usually offer searching facilities as well as a variety of other functions such as data feeds, ecommerce and email contacts. WebIT have developed and maintained web portals for over 10 years. This includes current real estate portals www.realestateview.com.au and www.realestateontheweb.com.au, and WebIT have created portals for the recruitment, mortgage and other industries. 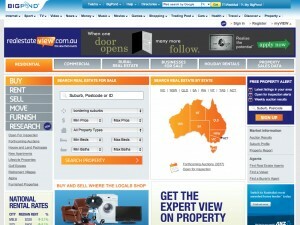 RealestateVIEW is the third most used real estate portal in Australia.